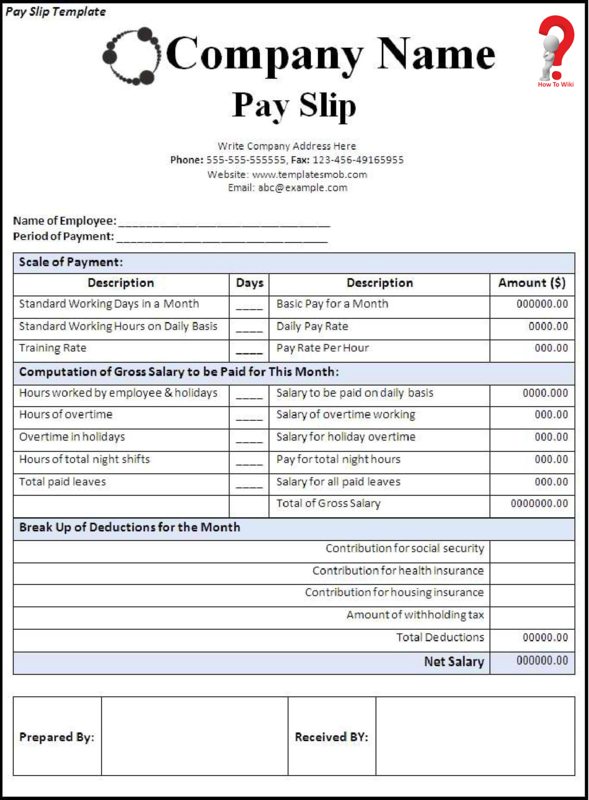 Salary Payslip, or more commonly known as “Salary stub” is a piece of paper provided to employees as a record of their monthly pay and allowances. 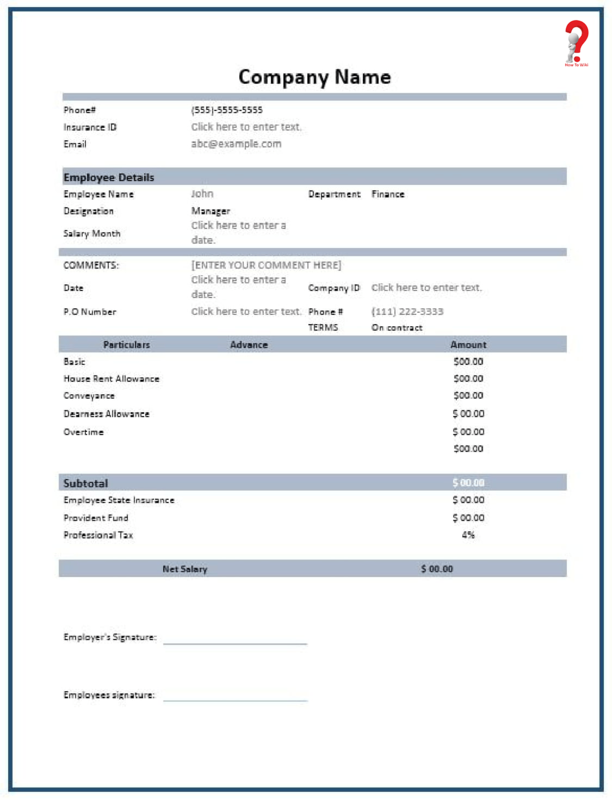 This document makes the employees aware of their incomes and deductions. All the employees must receive a pay stub on a monthly basis irrespective of their employment type. This will work as proof of their employment in the organization. This is also necessary for various compliances filing like income tax filing and PF return filing. 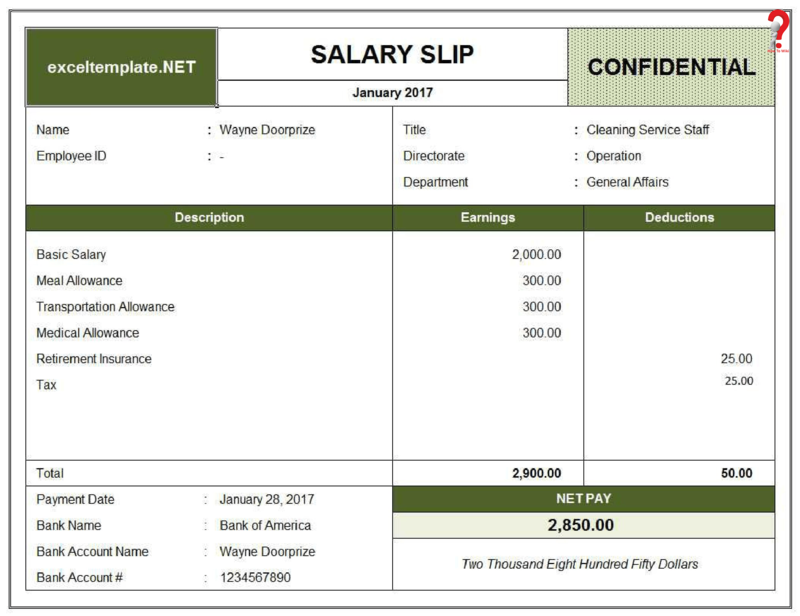 If you want to learn more about Salary Slip Format, you can continue reading. 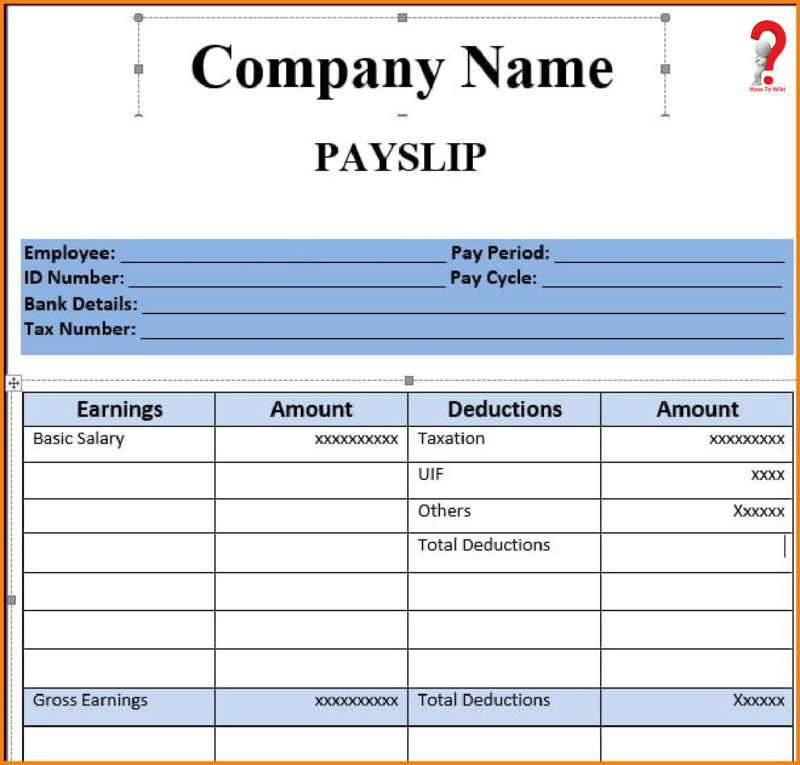 What information must be added to a payslip? #1 The most important part – Information of Employer, employee and pay date, pay period etc. #4 All the information on the taxes that are being deducted, like Federal Income Tax, Social Security Tex etc. #5 Benefits paid to the person, like Life insurance, Health insurance etc. #6 Number of exemptions and deductions must be shown in the paycheck carefully. There are two different types of Payslips, automated and manual. As the name suggests, their role is the same. The manual payslips are now dead or you can say obsolete. 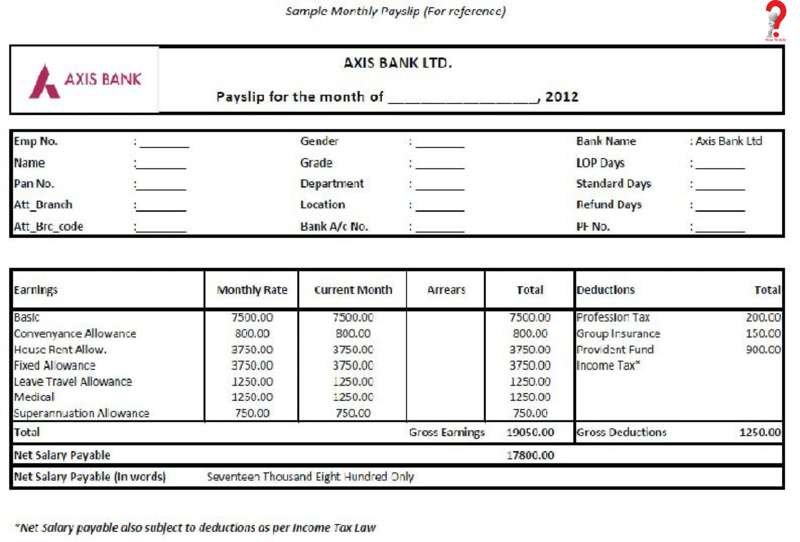 Now the automated payslips are generated and E-slips are sent to the employees via Email. Automated payslips are better in every way like they do not consume much time and money, because of automation, and they are accurate, you get the pay stub every month on time. 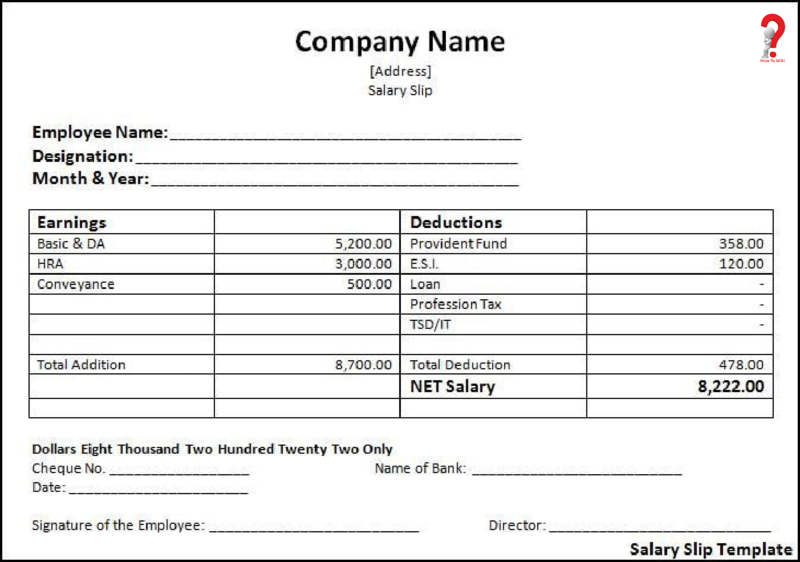 You can download and print the payslip format in Word or PDF format, it is very easy to use. You just have to download them on your computer and start editing. You can add all the necessary information in the template and then take a printout of the copy. 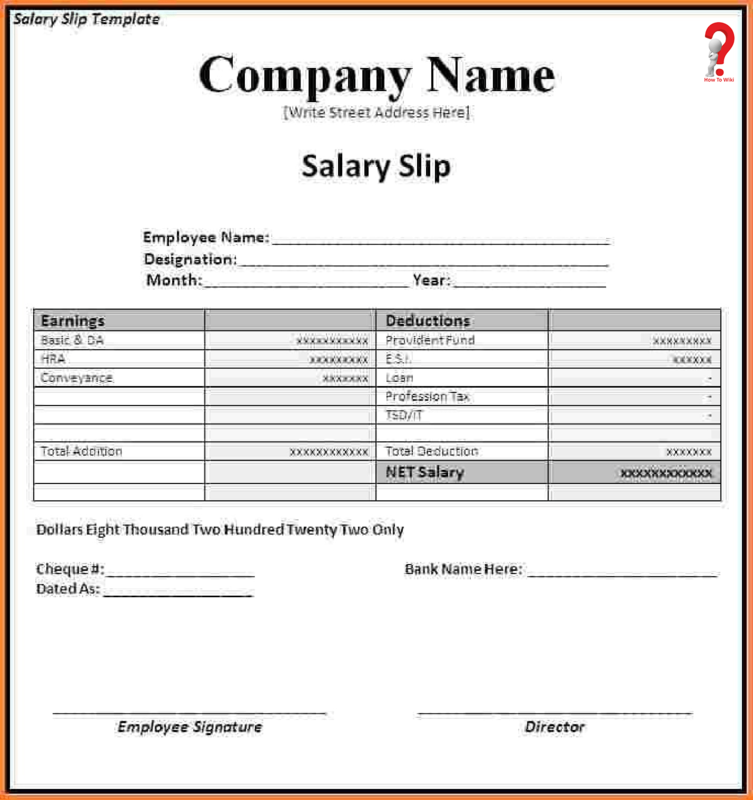 Why is Salary Slip important for employees? > A handy tool to negotiate with new employers for better pay. > It acts as authentic proof of income and can be used to file income tax returns. #1 Net Pay – Your compensation or gross pay is included in this part. #3 Pay Scale according to the compensation rate. #4 Expenses and deductions like taxes and leaves. # All types of Taxes that are to be deducted from the pay. #2 With the availability of pay slips, you can get access to various government-regulated facilities. #3 It is easy to apply for a loan when you have valid proof of your income from your workplace. SO, these were the importance of the Payslips, and samples and templates for the same. Hoping that you must have liked this post, we await your comments regarding the topic, you can also write to us if you have any query!